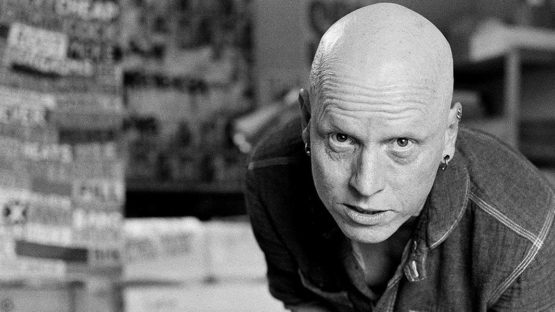 Stanley Donwood is the pen name of English artist and writer Dan Rickwood. Donwood is known for his close association with the British band Radiohead, having created all of their album and poster art since 1994.
he met a Radiohead front man Thom Yorke on univesity, and Yorke asked Donwood to produce the cover art for Radiohead’s 1994 single My Iron Lung, beginning a working relationship that has continued for all Radiohead’s art and promotional material, as well as Yorke’s solo albums and work with Atoms for Peace. His work on Radiohead’s albums and all associated artwork has gained him worldwide recognition. His evocative and haunting imagery has helped to create one of music’s most distinctive brands. Same year, Stanley Donwood, along with Richard Lawrence launched an independent record company, named Six Inch Records. On 18 February 2009, Donwood announced on the Six Inch Record blog that the shop was to be closed, as there were no more records to sell. Donwood likes to explore and question, society, sexuality, war, conformity and politics in his art. His work combines deep personal and political emotions with modesty and humor. He is obsessed with a nuclear apocalypse, Ebola pandemics and global cataclysm. Growing up in England in the 80s, a time when advertising was being considered seriously as anything resembling an art form, he was very influenced by it whilst simultaneously resenting and hating commercialization. Donwood prefers creating things manually and enjoys the process of print making, “I don’t really enjoy making artwork on a computer because it doesn’t seem like I’ve done anything.” He has exhibited to an international fan base in galleries across the world, including London, Tokyo, Amsterdam, Barcelona and Rotterdam. 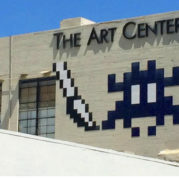 He exhibited an 18 foot long linocut of Los Angeles being destroyed by fire and flood and meteor storm at Shepard Fairey’s gallery in Los Angeles. Stanley Donwood lives and works in Bath, England.